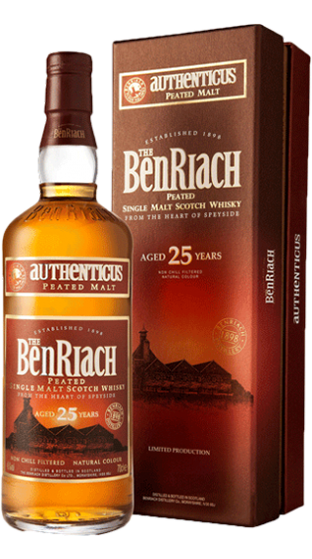 Tasting Note: The FULL-BODIED and audacious ‘Authenticus’ 25 years old, formerly available as a 21 years old single malt. Distilled from peated malted barley, this whisky demonstrates a fusion of RICH PEAT and smouldering embers with HERBS and HONEY. Bottled at 46%, non chill filtered and at natural colour.